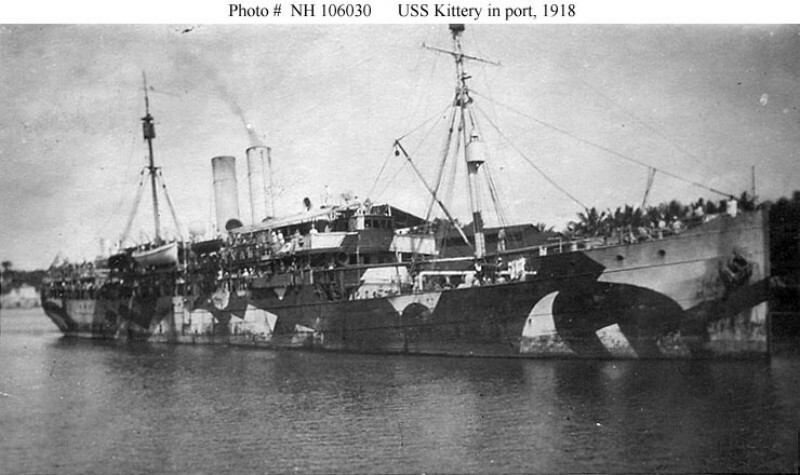 81k USS Kittery at Santo Domingo, Dominican Republic, in August 1917. Photographed by John G. Krieger. 46k USS Kittery (AK-2) probably photographed between mid-1917 to mid-1918. 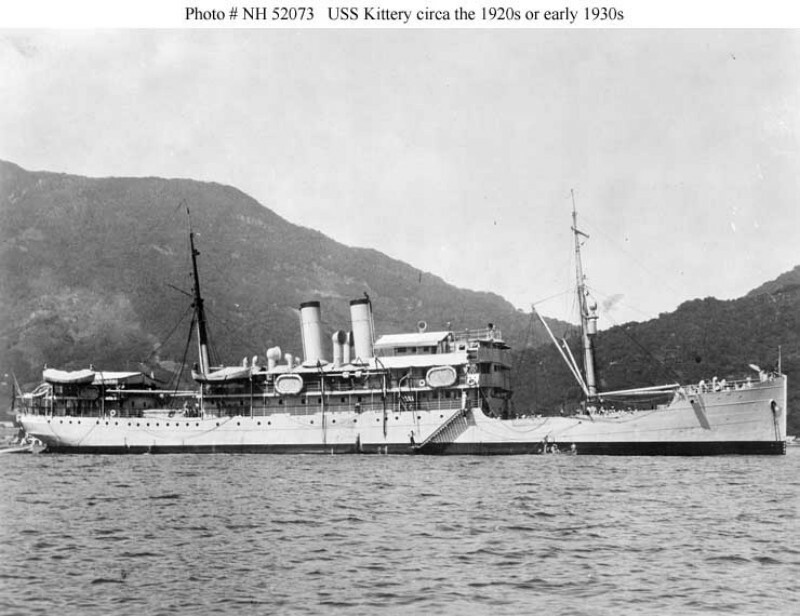 79k USS Kittery at anchor probably in the West Indies, circa 1918. Note her pattern camouflage. 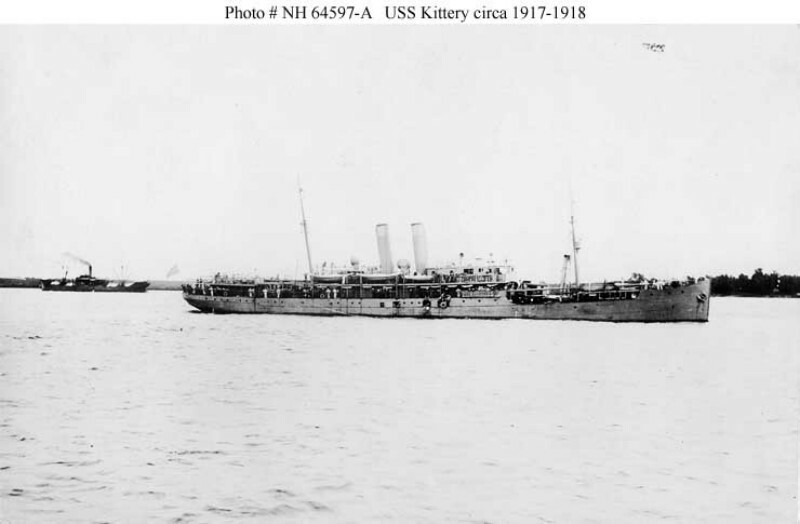 88k USS Kittery at anchor probably in the West Indies, circa 1918. Note her pattern camouflage. 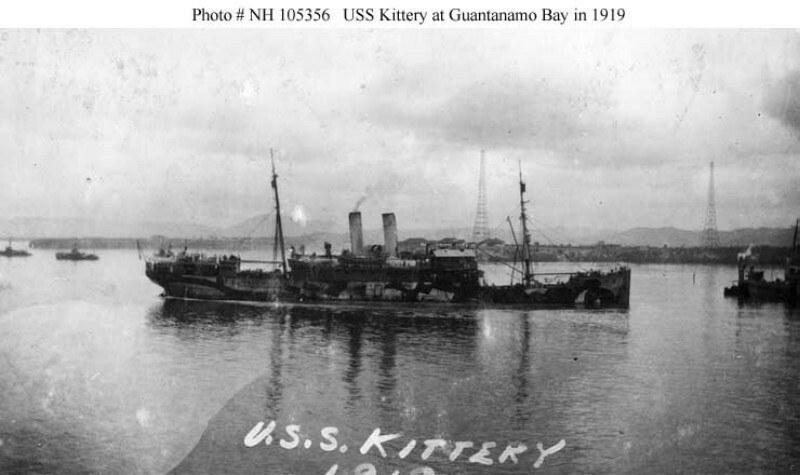 69k USS Kittery in Guantanamo Bay in 1919. She is still wearing her World War I camouflage paint. 98k USS Kittery departing Hampton Roads, VA., 7 May 1925. 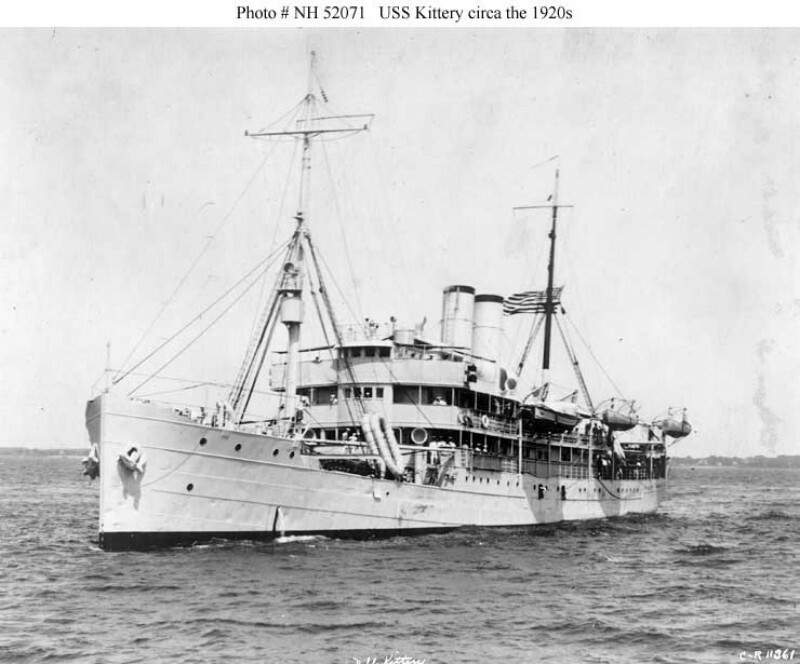 96k USS Kittery (AK-2) photographed circa the 1920s. 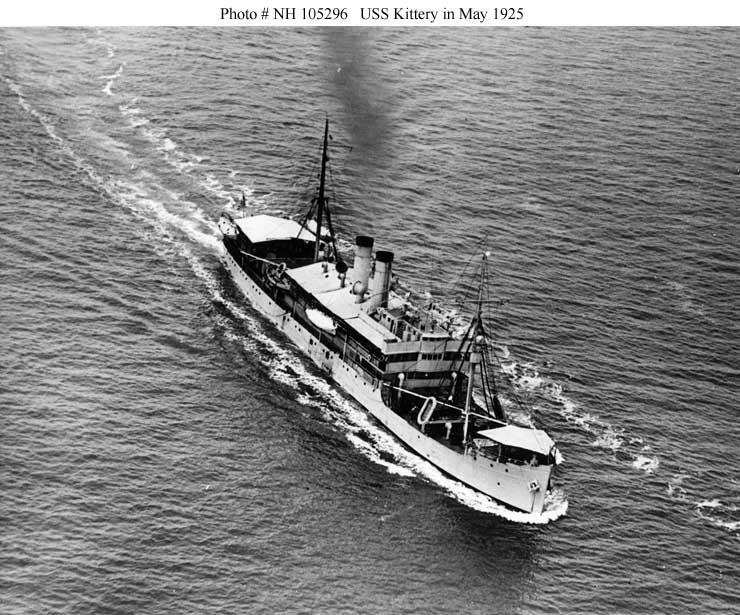 109k USS Kittery underway n the late 1920s or early 1930s, possibly in a Caribbean port. 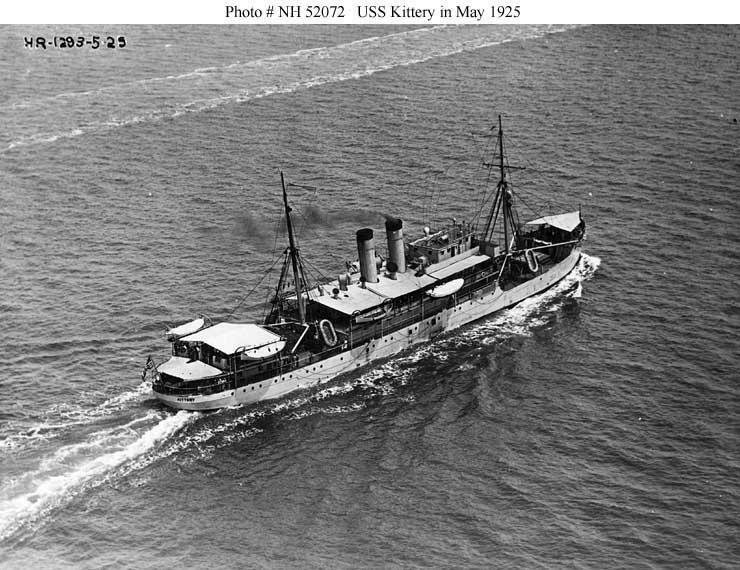 Kittery spent her entire Navy career carrying cargo and personnel between the U.S. East Coast and ports in the West Indies. 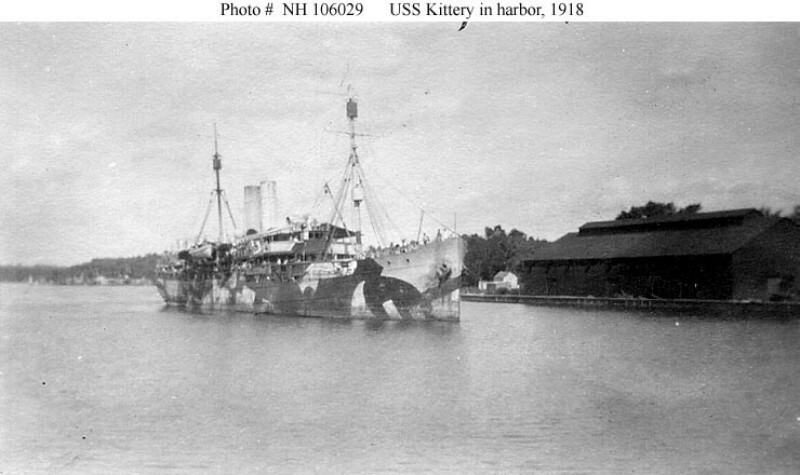 101k USS Kittery (AK-2) probably photographed in the late 1920s or early 1030s, possibly in a Caribbean port. 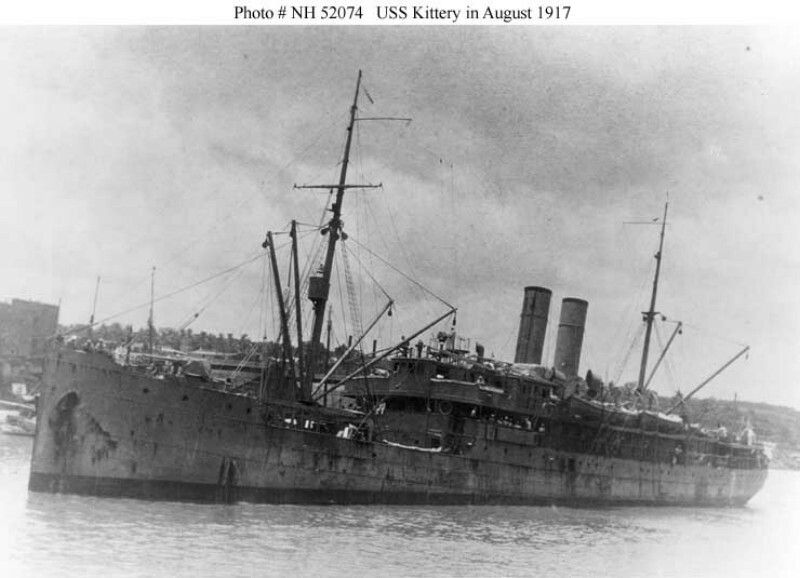 Kittery spent her entire Navy career carrying cargo and personnel between the U.S. East Coast and ports in the West Indies.